Shamus Beyale's Art: Man Cop #1 cover! 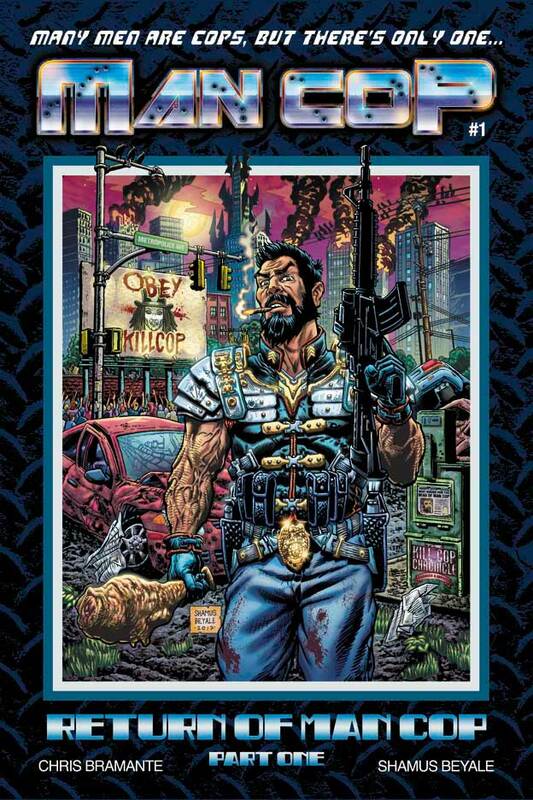 Here is the cover to the first issue of Man Cop! A self-published work that I helped my friend Chris Bramante, a self-proclaimed mythmaker (and writer of Man Cop), put together in hopes of spreading the legend that is Man Cop. I had slowly worked through this first issue (all 20 pages of it), in over a year, painstakingly pencilling, inking & lettering it with all my passionate artistic fervor. It is finally of to be printed for its first run. Check out www.mancop.com for further news and preview the world of Man Cop.